THE ULTIMATE STOCKING FILLER for anyone who's an Assassin's Creed addict.Travel further back in time than ever before . . .
DiscovTHE ULTIMATE STOCKING FILLER for anyone who's an Assassin's Creed addict.Travel further back in time than ever before . . . 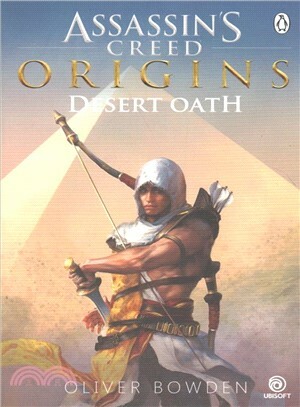 Discover an ancient Egypt on the brink of collapse, and meet the characters in the official prequel to the latest instalment of the bestselling Assassin's Creed video game series.Before Assassin's Creed Origins, there was an Oath.Egypt, 70BC, a merciless killer stalks the land. His mission: to find and destroy the last members of an ancient order, the Medjay - to eradicate the bloodline.In peaceful Siwa, the town's protector abruptly departs, leaving his teenage son, Bayek, with questions about his own future and a sense of purpose he knows he must fulfill. Bayek sets off in search of answers, his journey taking him along the Nile and through an Egypt in turmoil, facing the dangers and the mysteries of the Medjay's path.er an ancient Egypt on the brink of collapse, and meet the characters in the official prequel to the latest instalment of the bestselling Assassin's Creed video game series.Before Assassin's Creed Origins, there was an Oath.Egypt, 70BC, a merciless killer stalks the land. His mission: to find and destroy the last members of an ancient order, the Medjay - to eradicate the bloodline.In peaceful Siwa, the town's protector abruptly departs, leaving his teenage son, Bayek, with questions about his own future and a sense of purpose he knows he must fulfill. Bayek sets off in search of answers, his journey taking him along the Nile and through an Egypt in turmoil, facing the dangers and the mysteries of the Medjay's path.